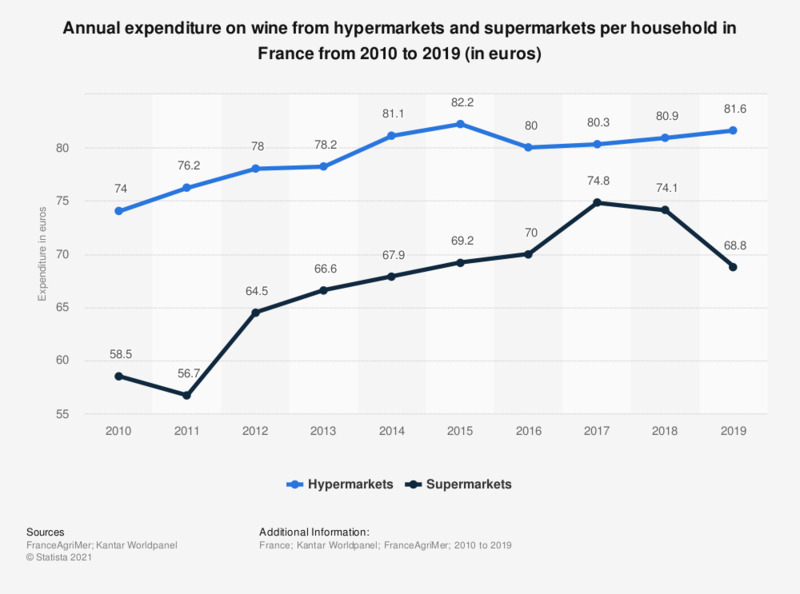 This statistic shows the annual expenditure on wine from hypermarkets and supermarkets per household in France from 2010 to 2016, in euros. The figures reveal that the annual expenditure on wine, particularly from supermarkets, rose over the years. In 2016, expenditure on wine reached 80 euros for wine purchased in hypermarkets and 70 euros for wine purchased in supermarkets.